In a “post-truth”, virtual world of alternative facts, the challenge of making films representing reality has never been greater. Meanwhile, questions that have long been centre stage for documentary makers—do we have the right to represent others, is there such a thing as objective truth, where is the line between opinion and fact?—now loom large in our everyday political discourse. Into this contested terrain steps the new director of the Australian International Documentary Conference (AIDC), Andrew Wiseman who took up the role just months out from the 2017 event. With a resume in film and television going back to the 1980s that includes writing, directing and producing, Wiseman brings a wealth of filmmaking experience (including The Tale of Ruby Rose, My Brother Jack, After the Deluge, Sisters of War, Curtin and Kokoda) to his new job. I spoke with him on the eve of the 2017 conference to discuss the state of play in a rapidly changing documentary world. As someone with long experience in the local industry, what do you see as the key critical challenges facing documentary makers in this country today, and how are these challenges different from what they were, say, a decade ago? The key challenges are to do with the plethora of ways in which films can be financed and shot in terms of emerging technologies, and the myriad ways in which they can be distributed. These are really positive changes, but the paradox is that they provide so many opportunities for a filmmaker to be bedazzled. Given the speed with which technology changes and distribution platforms emerge, it’s incumbent on filmmakers to be even more discerning and selective at the outset of their filmmaking journey. The central questions become even more critical for filmmakers to ask themselves: who will watch this film, who will buy it, how will I finance it, how will it be distributed, why am I making it—and what are the ethical parameters around the project? If they can successfully and judiciously answer that matrix of questions, it puts them on a stronger footing, because it allows them to say, “This is what I want to make and this is what I don’t want to make.” That second part is really critical, otherwise everything becomes possible and filmmakers can get bogged in a swamp of possibilities. One of the most important emerging technologies—virtual reality—features heavily at this year’s conference. 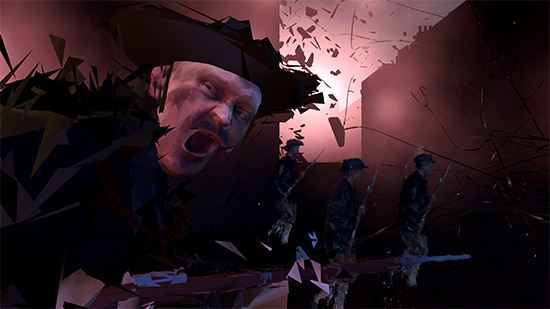 What do you think VR means for existing documentary models: the feature film, the TV series, the short? Are we on the verge of a technological shift that will fundamentally redefine film and television? Or do you think VR represents a new, parallel arena to traditional forms? I think the jury is out. A lot of major companies and filmmakers are circling around the edges of VR, and it’s all tantalising. My guess is it will be a very substantial player in the communication market. Whether it captures every area of that market—games, training, education, narrative, factual—I don’t know. I suspect it might go gangbusters in a way that won’t crush other forms; it might enhance them. Incoming technologies often remind us of the idiosyncratic and unique features of other forms. I can certainly see the benefit of VR in terms of training and games. Storytelling in all its myriad forms is another kettle of fish. I think the claims that it might challenge traditional storytelling techniques is an interesting one, because there is a substantial shift when the world in which you are participating is immersive and exists all around you. But questions like what is an edit, what is depth-of-field and how do you have a blended experience as an audience are yet to be answered in terms of VR. My guess is there will be some really creative documentary filmmakers who will run with the form and find those unique aspects of the technology, rather than just cleaving onto it existing techniques. A major area to be discussed with VR is the ethical implications, because if you can run an argument that it feels more ‘real’ and immersive, then an audience’s ability to disassociate themselves from what they are watching will be diminished, and therefore perhaps the impact, and the unintended consequences of that impact, may be more real. The Russian writer Maxim Gorky, when he saw the earliest Lumière films, is alleged to have said that it was like going into a kingdom of shadows. I wonder what he would make of VR, whether he might say that it is a kingdom of possible visual delights that might be illuminating, but also beguiling. The question of the relationship between truth and representation is becoming particularly fraught in recent times, and you were quoted in a recent AIDC press release as saying, “The malleability of truth is coming into sharp focus for activists and filmmakers alike.” What role do you think documentary can or should play in a world that seems increasingly defined by wildly varying worldviews and an embrace of “alternative facts”? The AIDC theme this year is, “There are three sides to every story.” It’s there for each delegate to interpret in whatever way they want. My take on it is, if you think of stories as having only one side or another, you have a kind of brutal dichotomy. Whereas if you open your eyes and mind to the possibility of many sides to a story, then all sorts of things can be considered. Some of the masterpieces of documentary are those where filmmakers went out quite confidently to investigate a story and there was an about-face—a fault line occurred within the story—and they were agile and adept enough to follow the change. Whether it’s Waiting for Fidel [Michael Rubbo, 1974] or Capturing the Friedmans [Andrew Jarecki, 2004] or many others, there is a huge change, a 180-degree turn that gives the filmmaker and the participants a whole other angle. That’s one of the things that documentary is particularly good at providing. 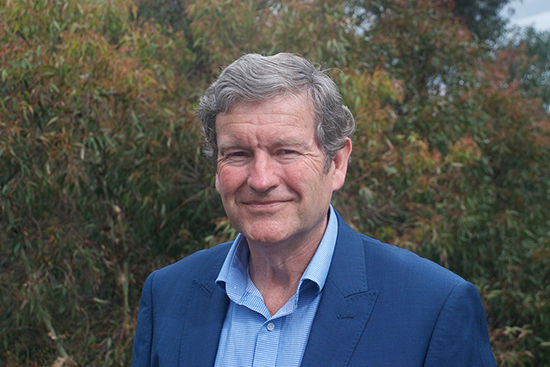 AIDC has gone through a period of considerable change in recent years, relocating to Melbourne after being in Adelaide for a prolonged period, and going through two conference directors in as many years. You took over from Britt Arthur less than six months out from the 2017 event, but as you settle into the job, where would you like to take AIDC in future? I was lucky to come into an organisation in very solid, good health. Britt Arthur and her team did a really outstanding job in 2016, and a great deal of the 2017 program was already in train when I came into place. My first reaction is not to upset the apple cart. Having said that, there are some areas I’m looking at and considering for next year. It’s very early days, but they include some of the things we were talking about before. The ethical challenges for filmmakers working in this space is something I want to potentially look at. There are possibilities of making stronger connections to the world of academia. Some of the craft areas would be really fun to investigate in other ways, including editing and what it means to write for documentary given the emergence of new technologies like VR. And I’m really keen that the “I” in AIDC continues to be strengthened. It’s fabulous that we have over 45 international decision-makers and guests coming to the conference. We absolutely want to maintain that, and try to reach out to more of the world, with a focus on Asia. So those are some loose thoughts. Ultimately, AIDC is a place where you want to make great connections. Whether those connections are ideas, creativity, business, craft, finance, distribution, broadcasting or an amalgam of all of these—AIDC has to be the place where it’s really easy and lots of fun to do that. 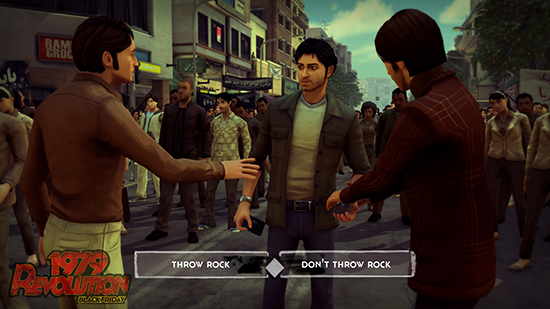 The image [above] is from 1979 Revolution, leading American digital artist Navid Khonsari’s docu-video game that puts players into the world of revolution in Iran during 1979. Khonsari is currently working on a number of VR projects. On AIDC’s VR Plus day, he will deliver a keynote address, “Revolution or Evolution,” at ACMI, 5 March, 1pm. On 6 March at 3.45pm, Anna Broinowski (Pauline Hanson: Please Explain), Nicola Harvey (Buzzfeed Australia), Matt Davis (Foreign Correspondent) and chair Linda Brusasco (ABC) will address the topic “Political Documentary in a Post-Truth World, How Vital are the Virals?” Should documentarians “add vital [social media] weapons to their storytelling arsenal”?